I’ve talked about Moleskine books in the past. And while they aren’t the greatest of notebooks I find them to be my favorite for a number of reasons. The size and sturdiness of the covers are the main thing I like, but what if both of those things were taken away and I was left with a small and flexible notebook? 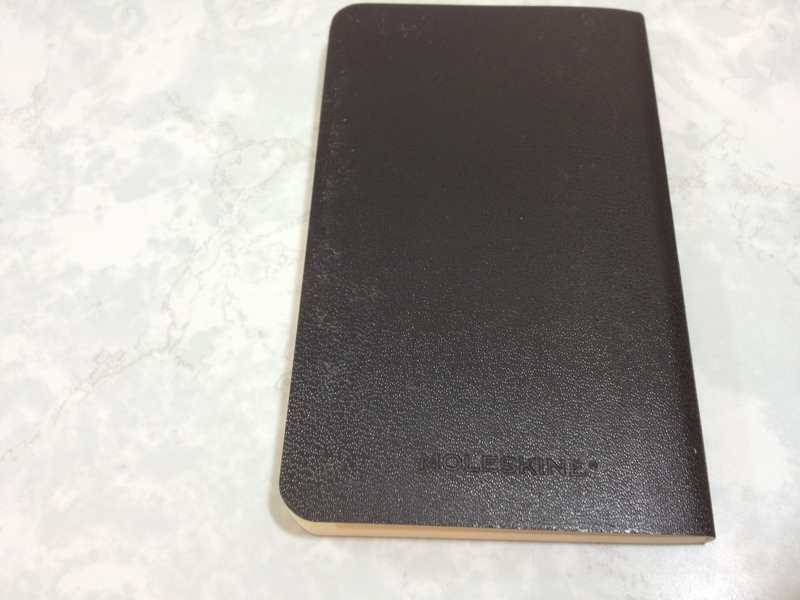 This time I’ll be looking at the Moleskine Volant Pocket notebooks. 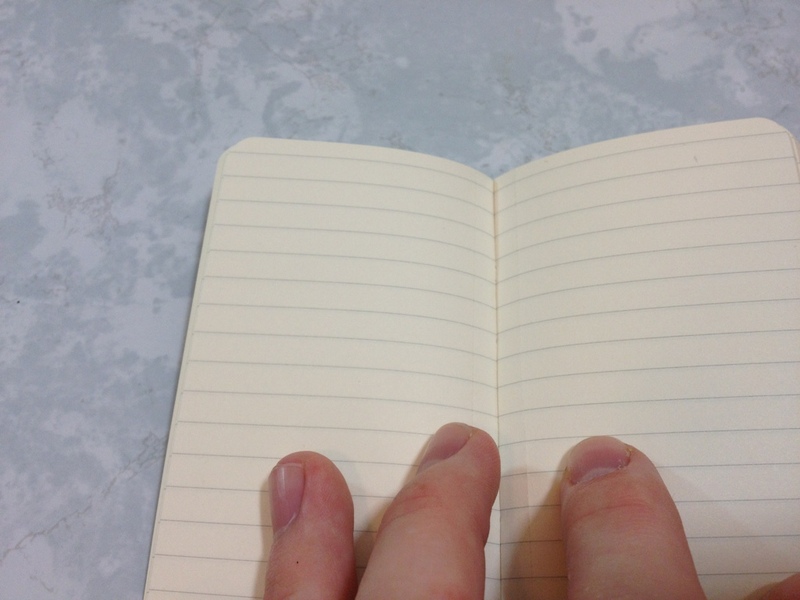 Moleskine Volant books are small, pocket sized books about 2.5×4.125in., which is a very odd size indeed. There are twenty-eight sheets or fifty-six pages. They are all perforated and standard moleskine paper with only a few lines. There is a page on which a name and address can be written, but no pocket in the back as these books are much too small. 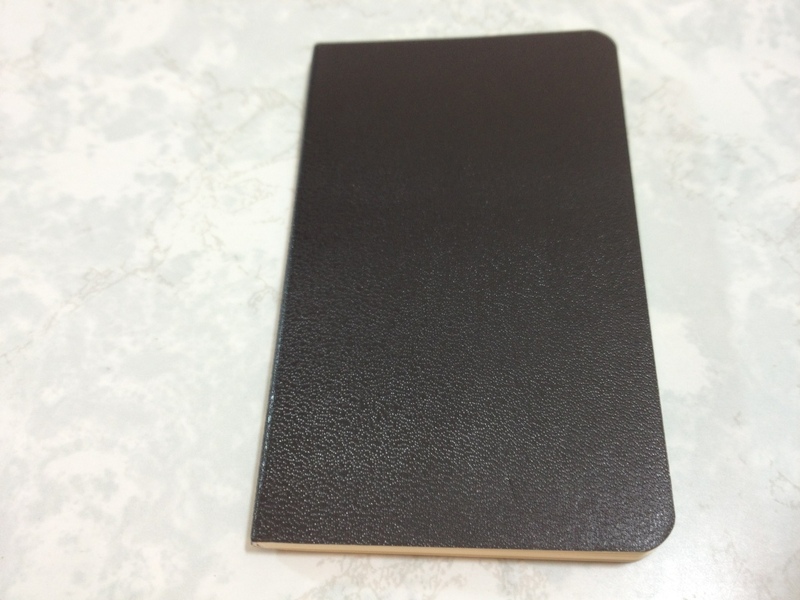 Moleskine is imprinted on the back of the books and the cover texture is similar to the regular Moleskines. The spine and cover are quite flexible and the binding is hidden from view. After only moderate use the edges will start to peel and bend, but do hold up very well, and any pocket book is bound to get damaged to this extent. They’re a bit plastic-y, so the amount they hold up isn’t remarkable, but it is good enough to get the job done. The paper is standard Moleskine. It’s thin, and you wouldn’t want to use both sides even with a ballpoint for the bleed/show through. The perforations work quite well and I’ve had no problems with mis-torn sheets. The paper is fairly strong and archival as well as smooth. So the overall experience of writing on it is not bad if one’s pen choice is correct (it’s not a liquid ink type of paper). The ruling is spaced such that not too terribly much can be placed on a page, but at its size, there isn’t much more they could do. Overall, these notebooks are wonderful for their size. If you have a pocket that would fit one and need to carry around a notebook this is the one I’d recommend. They are a little bit pricy, but I don’t know of another notebook of similar size in a competitors range. So it might be your only option. And it’s a good, even if not the best possible, option. This entry was posted in Consumables, Intermediate Supplies and tagged moleskine, moleskine notebooks, moleskine volant, moleskine volant notebooks, notebooks, pocket books, pocket notebooks, review, small, tiny books, tiny notebooks, volant by Dragon Co (Austin Smith). Bookmark the permalink.